Happy New Year from us all here at the Adoption Centre. 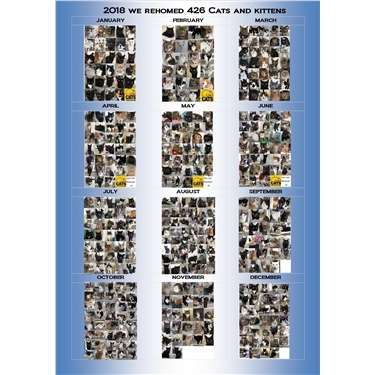 It’s been a really busy year, we have rehomed 426 cats and kittens in 2018 which is just amazing! All their little faces are on this poster. If you have one of our 2018 cats please share a picture in the comments below.